EU foreign ministers agree to impose sanctions on the leadership of the GRU, and Salisbury suspects. Sir Nicholas Kay KCMG has been appointed as NATO’s next Senior Civilian Representative (SCR) in Afghanistan. 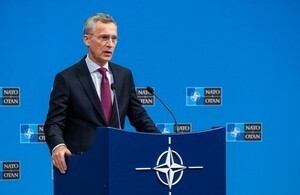 NATO Foreign Ministers in Brussels issued a statement about Russia's violation of the the Intermediate-Range Nuclear Forces (INF) Treaty. Our mission is to ensure that NATO remains fit to serve as the bedrock of the UK’s defence and a leading instrument of our national security and that NATO military operations meet UK strategic objectives. 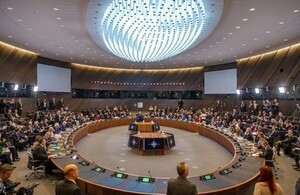 The United Kingdom’s Joint Delegation to NATO is the vital link between the UK government and the North Atlantic Treaty Organisation. 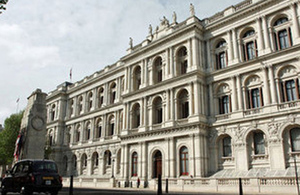 Its principal roles are to promote British interests in NATO and to keep UK ministers and government departments informed about NATO discussions.